Easter is less than a week away! If you are visiting Destin, Florida for Easter weekend, you’ll find that there is no shortage of family-friendly activities in the area. Check out some of our favorite Easter activities in Destin, from egg hunts to brunch and everything in between. Don’t forget to book your last-minute getaway with our lodging partners Southern Vacation Rentals to secure the best spot on the beach! LuLu’s Easter Egg Hunt – One of Destin’s most popular events takes place on Easter Sunday (April 21st!) from 2-4 PM. This event is free for the public, with an egg hunt and Easter Bunny meet and greet. Easter Explosion – The Village of Baytowne Wharf transforms into an egg-stravaganza on Saturday, April 20th with free family-friendly entertainment! From 12-3 PM, enjoy lawn games, face-painting, inflatables, and more. You can also get your picture taken with the Easter Bunny. Easter Brunch Buffet at Brotula’s – Brotula’s Seafood House & Steamer is hosting their annual Easter Buffet Brunch on Sunday, April 21st from 10 AM – 4 PM. Give them a call at (850) 460-8900 to secure your table. 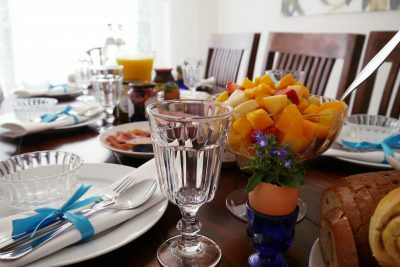 Easter Brunch Buffet at Cuvee Kitchen + Wine Bar – This is one of our favorite Destin, Florida restaurants to dine no matter what the occasion. From 9 AM – 3 PM on Easter Sunday, enjoy classic Easter favorites with a coastal twist. Reservations are required, so call (850) 460-2909 to book your table. Visit with Easter Bunny & Brunch – Celebrate Easter on the Destin Harbor on Easter Sunday. Enjoy a delicious Easter brunch from 10 AM – 2 PM and a visit with the Easter Bunny at HarborWalk Village’s Main Stage from 2-4 PM. Call (850) 424-0622 for brunch reservations!